Nikolai Andreyevich Rimsky-Korsakov (Russian: Никола́й Андре́евич Ри́мский-Ко́рсаков, Nikolaj Andreevič Rimskij-Korsakov) (18 March [O.S. 6 March] 1844 – 21 June [O.S. 8 June] 1908)[a 1] was a Russian composer, and a member of the group of composers known as The Five. [a 2] He was a master of orchestration. His best-known orchestral compositions—Capriccio Espagnol, the Russian Easter Festival Overture, and the symphonic suite Scheherazade—are considered staples of the classical music repertoire, along with suites and excerpts from some of his 15 operas. Scheherazade is an example of his frequent use of fairy tale and folk subjects. For much of his life, Rimsky-Korsakov combined his composition and teaching with a career in the Russian military—at first as an officer in the Imperial Russian Navy, then as the civilian Inspector of Naval Bands. He wrote that he developed a passion for the ocean in childhood from reading books and hearing of his older brother's exploits in the navy. This love of the sea might have influenced him to write two of his best-known orchestral works, the musical tableau Sadko (not his later opera of the same name) and Scheherazade. Through his service as Inspector of Naval Bands, Rimsky-Korsakov expanded his knowledge of wind and brass playing, which enhanced his abilities in orchestration. He passed this knowledge to his students, and also posthumously through a textbook on orchestration that was completed by his son-in-law, Maximilian Steinberg. 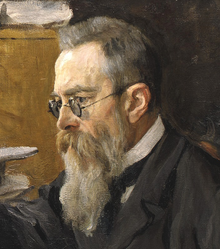 Rimsky-Korsakov left a considerable body of original Russian nationalist compositions. He prepared works by The Five for performance, which brought them into the active classical repertoire (although there is controversy over his editing of the works of Modest Mussorgsky), and shaped a generation of younger composers and musicians during his decades as an educator. Rimsky-Korsakov is therefore considered "the main architect" of what the classical music public considers the Russian style of composition. His influence on younger composers was especially important. While Rimsky-Korsakov's style was based on those of Glinka, Balakirev, Hector Berlioz and Franz Liszt, he "transmitted this style directly to two generations of Russian composers" and influenced non-Russian composers including Maurice Ravel, Claude Debussy, Paul Dukas and Ottorino Respighi. 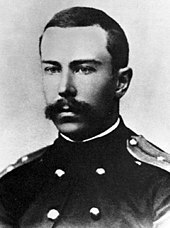 Rimsky-Korsakov was born in Tikhvin, 200 kilometres (120 mi) east of Saint Petersburg, into an aristocratic family with a long line of military and naval service—his older brother Voin, 22 years his senior, became a well-known navigator and explorer. Rimsky-Korsakov later recalled that his mother played the piano a little, and his father could play a few songs on the piano by ear. It is said that Rimsky-Korsakov inherited his mother's tendency to play too slowly. Beginning at six, he took piano lessons from various local teachers and showed a talent for aural skills, but he showed a lack of interest, playing, as he later wrote, "badly, carelessly, ... poor at keeping time". While at school, Rimsky-Korsakov took piano lessons from a man named Ulikh. These lessons were sanctioned by Voin, who now served as director of the school, because they would help the youth to develop social skills and overcome his shyness. 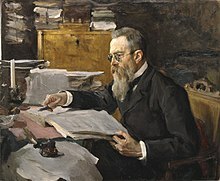 Rimsky-Korsakov wrote that while "indifferent" to lessons, he developed a love for music, fostered by visits to the opera, and, later, orchestral concerts. Ulikh perceived that he had serious musical talent, and recommended another teacher, Feodor A. Kanille (Théodore Canillé). Beginning in the autumn of 1859, Rimsky-Korsakov took lessons in piano and composition from Kanille, whom he later credited as the inspiration for devoting his life to musical composition. Through Kanille, he was exposed to a great deal of new music, including Mikhail Glinka and Robert Schumann. Despite Rimsky-Korsakov's now liking his music lessons, Voin cancelled them when Rimsky-Korsakov was 17, as he felt they no longer served a practical need. Kanille told Rimsky-Korsakov to continue coming to him every Sunday, not for formal lessons but to play duets and discuss music. In November 1861, Kanille introduced the 18-year-old Rimsky-Korsakov to Mily Balakirev. Balakirev in turn introduced him to César Cui, and Modest Mussorgsky; all three of these men were already known as composers, despite only being in their 20s. Rimsky-Korsakov later wrote, "With what delight I listened to real business discussions [Rimsky-Korsakov's emphasis] of instrumentation, part writing, etc! And besides, how much talking there was about current musical matters! All at once I had been plunged into a new world, unknown to me, formerly only heard of in the society of my dilettante friends. That was truly a strong impression". The Russian military clipper Almaz in New York Harbor in 1863. Rimsky-Korsakov served as a midshipman on this ship, and later wrote about this cruise. Balakirev encouraged Rimsky-Korsakov to compose and taught him the rudiments when he was not at sea. Balakirev also prompted him to enrich himself in history, literature and criticism. When he showed Balakirev the beginning of a symphony in E-flat minor that he had written, Balakirev insisted he continue working on it despite his lack of formal musical training. By the time Rimsky-Korsakov sailed on a two-year-and-eight-month cruise aboard the clipper Almaz in late 1862, he had completed and orchestrated three movements of the symphony. [a 3] He composed the slow movement during a stop in England, and mailed the score to Balakirev before going back to sea. At first, his work on the symphony kept Rimsky-Korsakov occupied during his cruise. He purchased scores at every port of call, along with a piano upon which to play them, and filled his idle hours studying Berlioz's treatise on orchestration. He found time to read the works of Homer, William Shakespeare, Friedrich Schiller and Johann Wolfgang von Goethe, and he saw London, Niagara Falls, and Rio de Janeiro during his stops in port. Eventually, the lack of outside musical stimuli dulled the young midshipman's hunger to learn, and he wrote to Balakirev that after two years at sea he had neglected his musical lessons for months. "Thoughts of becoming a musician and composer gradually left me altogether", he later recalled; "distant lands began to allure me, somehow, although, properly speaking, naval service never pleased me much and hardly suited my character at all". A pupil like myself had to submit to Balakirev a proposed composition in its embryo, say, even the first four or eight bars. Balakirev would immediately make corrections, indicating how to recast such an embryo; he would criticize it, would praise and extol the first two bars, but would censure the next two, ridicule them, and try hard to make the author disgusted with them. Vivacity of composition and fertility were not at all in favor, frequent recasting was demanded, and the composition was extended over a long space of time under the cold control of self-criticism. Rimsky-Korsakov socialized and discussed music with the other members of The Five; they critiqued one another's works in progress and collaborated on new pieces. He became friends with Alexander Borodin, whose music "astonished" him. He spent an increasing amount of time with Mussorgsky. Balakirev and Mussorgsky played piano four-hand music, Mussorgsky would sing, and they frequently discussed other composers' works, with preferred tastes running "toward Glinka, Schumann and Beethoven's late quartets".Mendelssohn was not thought of highly, Mozart and Haydn "were considered out of date and naïve", and J.S. Bach merely mathematical and unfeeling. Berlioz "was highly esteemed", Liszt "crippled and perverted from a musical point of view ... even a caricature", and Wagner discussed little. Rimsky-Korsakov "listened to these opinions with avidity and absorbed the tastes of Balakirev, Cui and Mussorgsky without reasoning or examination". Often, the musical works in question "were played before me only in fragments, and I had no idea of the whole work". This, he wrote, did not stop him from accepting these judgments at face value and repeating them "as if I were thoroughly convinced of their truth". Rimsky-Korsakov explained in his memoirs that Mikhaíl Azanchevsky had taken over that year as director of the Conservatory, and wanting new blood to freshen up teaching in those subjects, had offered to pay generously for Rimsky-Korsakov's services. Biographer Mikhail Zetlin suggests that Azanchevsky's motives might have been two-fold. First, Rimsky-Korsakov was the member of the Five least criticized by its opponents, and inviting him to teach at the Conservatory may have been considered a safe way to show that all serious musicians were welcome there. Second, the offer may have been calculated to expose him to an academic climate in which he would write in a more conservative, Western-based style. 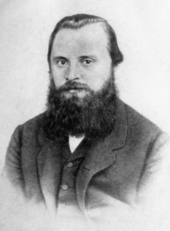 Balakirev had opposed academic training in music with tremendous vigor, but encouraged him to accept the post to convince others to join the nationalist musical cause. Professorship brought Rimsky-Korsakov financial security, which encouraged him to settle down and to start a family. In December 1871 he proposed to Nadezhda Purgold, with whom he had developed a close relationship over weekly gatherings of The Five at the Purgold household. They married in July 1872, with Mussorgsky serving as best man. The Rimsky-Korsakovs had six children; one of their sons, Andrei, became a musicologist, married the composer Yuliya Veysberg and wrote a multi-volume study of his father's life and work. In the spring of 1873, the navy created the post of Inspector of Naval Bands and appointed Rimsky-Korsakov. While this kept him on the navy payroll and listed on the roster of the Chancellery of the Navy Department, it allowed him to resign his commission. As Inspector, he visited naval bands throughout Russia, supervised the bandmasters and their appointments, reviewed the bands' repertoire, and inspected the quality of their instruments. He wrote a study program for a complement of music students who held navy fellowships at the Conservatory, and acted as an intermediary between the Conservatory and the navy. The post of Band Inspector came with a promotion to Collegiate Assessor, a civilian rank. "I parted with delight with both my military status and my officer's uniform", he later wrote. "Henceforth I was a musician officially and incontestably." Rimsky-Korsakov applied himself with zeal to his duties, and indulged in a long-standing desire to familiarize himself with the construction and playing technique of orchestral instruments. These studies prompted him to write a textbook on orchestration. He used the privileges of rank to exercise and expand upon his knowledge. He discussed arrangements of musical works for military band with bandmasters, encouraged and reviewed their efforts, held concerts at which he could hear these pieces, and orchestrated original works, and works by other composers, for military bands. Two projects helped Rimsky-Korsakov focus on less academic music-making. The first was the creation of two folk song collections in 1874. 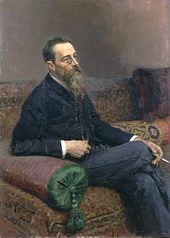 Rimsky-Korsakov transcribed 40 Russian songs for voice and piano from performances by folk singer Tvorty Filippov, who approached him at Balakirev's suggestion. This collection was followed by a second containing 100 songs, supplied by friends and servants, or taken from rare and out-of-print collections. Rimsky-Korsakov later credited this work as a great influence on him as a composer; it also supplied a vast amount of musical material from which he could draw for future projects, either by direct quotation or as models for composing fakeloric passages. The second project was the editing of orchestral scores by pioneer Russian composer Mikhail Glinka (1804–1857) in collaboration with Balakirev and Anatoly Lyadov. 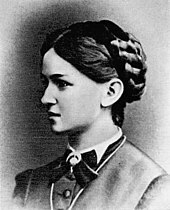 Glinka's sister, Lyudmila Ivanovna Shestavoka, wanted to preserve her brother's musical legacy in print, and paid the costs of the project from her own pocket. No similar project had been attempted before in Russian music, and guidelines for scholarly musical editing had to be established and agreed. While Balakirev favored making changes in Glinka's music to "correct" what he saw as compositional flaws, Rimsky-Korsakov favored a less intrusive approach. Eventually, Rimsky-Korsakov prevailed. "Work on Glinka's scores was an unexpected schooling for me", he later wrote. 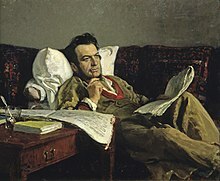 "Even before this I had known and worshipped his operas; but as editor of the scores in print I had to go through Glinka's style and instrumentation to their last little note ... And this was a beneficent discipline for me, leading me as it did to the path of modern music, after my vicissitudes with counterpoint and strict style". Rimsky-Korsakov wrote that he became acquainted with budding music patron Mitrofan Belyayev (M. P. Belaieff) in Moscow in 1882. Belyayev was one of a growing coterie of Russian nouveau-riche industrialists who became patrons of the arts in mid- to late-19th century Russia; their number included railway magnate Savva Mamontov and textile manufacturer Pavel Tretyakov. Belyayev, Mamontov and Tretyakov "wanted to contribute conspicuously to public life". They had worked their way into wealth, and being Slavophilic in their national outlook believed in the greater glory of Russia. Because of this belief, they were more likely than the aristocracy to support native talent, and were more inclined to support nationalist artists over cosmopolitan ones. This preference paralleled a general upsurge in nationalism and Russophilia that became prevalent in mainstream Russian art and society. 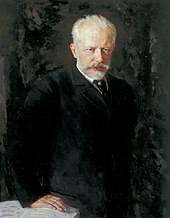 In November 1887, Tchaikovsky arrived in Saint Petersburg in time to hear several of the Russian Symphony Concerts. One of them included the first complete performance of his First Symphony, subtitled Winter Daydreams, in its final version. Another concert featured the premiere of Rimsky-Korsakov's Third Symphony in its revised version. Rimsky-Korsakov and Tchaikovsky corresponded considerably before the visit and spent a lot of time together, along with Glazunov and Lyadov. Though Tchaikovsky had been a regular visitor to the Rimsky-Korsakov home since 1876, and had at one point offered to arrange Rimsky-Korsakov's appointment as director of the Moscow Conservatory, this was the beginning of closer relations between the pair. Within a couple of years, Rimsky-Korsakov wrote, Tchaikovsky's visits became more frequent. Another death brought about a creative renewal. The passing of Tchaikovsky presented a two-fold opportunity—to write for the Imperial Theaters and to compose an opera based on Nikolai Gogol's short story Christmas Eve, a work on which Tchaikovsky had based his opera Vakula the Smith. The success of Rimsky-Korsakov's Christmas Eve encouraged him to complete an opera approximately every 18 months between 1893 and 1908—a total of 11 during this period. He also started and abandoned another draft of his treatise on orchestration, but made a third attempt and almost finished it in the last four years of his life. (His son-in-law Maximilian Steinberg completed the book in 1912.) Rimsky-Korsakov's scientific treatment of orchestration, illustrated with more than 300 examples from his work, set a new standard for texts of its kind. In 1905, demonstrations took place at Saint Petersburg Conservatory as part of the 1905 Revolution; these, Rimsky-Korsakov wrote, were triggered by similar disturbances at Saint Petersburg State University, in which students demanded political reforms and the establishment of a constitutional monarchy in Russia. "I was chosen a member of the committee for adjusting differences with agitated pupils", he recalled; however, almost as soon as the committee had been formed, "[a]ll sorts of measures were recommended to expel the ringleaders, to quarter the police in the Conservatory, to close the Conservatory entirely". A lifelong liberal politically, he wrote that he felt someone had to protect the rights of the students to demonstrate, especially as disputes and wrangling between students and authorities were becoming increasingly violent. In an open letter, he sided with the students against what he saw as unwarranted interference by Conservatory leadership and the Russian Musical Society. A second letter, this time signed by a number of faculty including Rimsky-Korsakov, demanded the resignation of the head of the Conservatory. Partly as a result of these two letters, he wrote, approximately 100 Conservatory students were expelled, and he was removed from his professorship. Just before the dismissal was enacted, Rimsky-Korsakov received a letter from one of the members of the school directorate, suggesting that he take up the directorship in the interest of calming student unrest. "Probably the member of the Directorate held a minority opinion, but signed the resolution nevertheless," he wrote. "I sent a negative reply." Not long after Rimsky-Korsakov's dismissal, a student production of his opera Kaschei the Immortal was followed not with the scheduled concert but with a political demonstration, which led to a police ban on Rimsky-Korsakov's work. Due in part to widespread press coverage of these events, an immediate wave of outrage to the ban arose throughout Russia and abroad; liberals and intellectuals deluged the composer's residence with letters of sympathy, and even peasants who had not heard a note of Rimsky-Korsakov's music sent small monetary donations. Several faculty members of the Saint Petersburg Conservatory resigned in protest, including Glazunov and Lyadov. Eventually, over 300 students walked out of the Conservatory in solidarity with Rimsky-Korsakov. By December he had been reinstated under a new director, Glazunov; Rimsky-Korsakov retired from the Conservatory in 1906. The political controversy continued with his opera The Golden Cockerel. Its implied criticism of monarchy, Russian imperialism and the Russo-Japanese War gave it little chance of passing the censors. The premiere was delayed until 1909, after Rimsky-Korsakov's death, and even then it was performed in an adapted version. In April 1907, Rimsky-Korsakov conducted a pair of concerts in Paris, hosted by impresario Sergei Diaghilev, which featured music of the Russian nationalist school. The concerts were hugely successful in popularizing Russian classical music of this kind in Europe, Rimsky-Korsakov's in particular. The following year, his opera Sadko was produced at the Paris Opéra and The Snow Maiden at the Opéra-Comique. He also had the opportunity to hear more recent music by European composers. He hissed unabashedly when he heard Richard Strauss's opera Salome, and told Diaghilev after hearing Claude Debussy's opera Pelléas et Mélisande, "Do not make me listen to all these horrors, or I shall end up liking them!" Hearing these works led him to appreciate his place in the world of classical music. He admitted that he was a "convinced kuchkist" (after kuchka, the shortened Russian term for The Five) and that his works belonged to an era that musical trends had left behind. Beginning around 1890, Rimsky-Korsakov suffered from angina. While this ailment initially wore him down gradually, the stresses concurrent with the 1905 Revolution and its aftermath greatly accelerated its progress. After December 1907, his illness became severe, and he could not work. 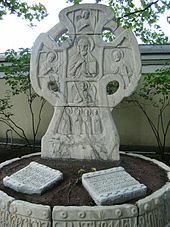 He died in Lyubensk in 1908, and was interred in Tikhvin Cemetery at the Alexander Nevsky Monastery in Saint Petersburg, next to Borodin, Glinka, Mussorgsky and Stasov. Rimsky-Korsakov was a prolific composer. As a perpetual self-critic, he revised every orchestral work up to and including his Third Symphony—some, like Antar and Sadko, more than once. These revisions range from minor changes of tempo, phrasing and instrumental detail to wholesale transposition and complete recomposition. Rimsky-Korsakov was open about the influences in his music, telling Vasily Yastrebtsev, "Study Liszt and Balakirev more closely, and you'll see that a great deal in me is not mine". Nevertheless, while he took Glinka and Liszt as models, his use of whole tone and octatonic scales do demonstrate his originality. He developed both these compositional devices for the "fantastic" sections of his operas, which depicted magical or supernatural characters and events. Rimsky-Korsakov continued to be interested in harmonic experiments and the exploration of new idioms, but this interest was coupled with an abhorrence of excess, and he kept his tendency to experiment under constant control. The more radical his harmonies became, the more he attempted to control them with strict rules—applying his "musical conscience", he called it. In this sense, he was both a progressive and a conservative composer. The whole tone and octatonic scales were both considered adventurous in the Western classical tradition, and Rimsky-Korsakov's use of them made his harmonies seem radical. Conversely, his care about how or when in a composition he used these scales made him seem conservative compared with later composers like Igor Stravinsky, though they were often building on Rimsky-Korsakov's work. Musicologist Gerald Abraham wrote that while Rimsky-Korsakov is best known in the West for his orchestral works, his operas are more complex; they offer a wider variety of orchestral effects than in his instrumental works, as well as fine vocal writing. Subjects range from historical melodramas (The Tsar's Bride) to folk operas (May Night), fairytales and legends (The Snow Maiden, Kashchey the Immortal and The Tale of Tsar Saltan). Of this range Rimsky-Korsakov wrote in 1902, "In every new work of mine I am trying to do something that is new for me. On the one hand, I am pushed on by the thought that in this way, [my music] will retain freshness and interest, but at the same time I am prompted by my pride to think that many facets, devices, moods and styles, if not all, should be with my reach." Rimsky-Korsakov's music often lacks dramatic power, a seemingly fatal flaw in an operatic composer. This may have been consciously done, as he repeatedly stated in his scores that he felt operas were first and foremost musical works rather than mainly dramatic ones. Ironically, the operas succeed in most cases by being deliberately non-dramatic. Toward this end he devised a dual musical language—diatonic and lyrical music much like Russian folk music for the "real" human characters and chromatic, artificial music for the "unreal" or "fantastic" magical beings.Harold C. Schonberg phrased it thus: "[the operas] open up a delightful new world, the world of the Russian East, the world of supernaturalism and the exotic, the world of Slavic pantheism and vanished races. Genuine poetry suffuses them, and they are scored with brilliance and resource." Excerpts and suites from Rimsky-Korsakov's operas have proved as popular in the West as the purely orchestral works. The best-known of these excerpts is probably "The Flight of the Bumblebee" from The Tale of Tsar Saltan, which has often been heard by itself in orchestral programs, and in countless arrangements and transcriptions, most famously in a piano version made by Russian composer Sergei Rachmaninoff. Other selections familiar to listeners in the West are "Dance of the Tumblers" from The Snow Maiden, "Procession of the Nobles" from Mlada, and "Song of the Indian Guest" (or, less accurately, "Song of India") from Sadko, as well as suites from The Golden Cockerel and The Legend of the Invisible City of Kitezh and the Maiden Fevroniya.